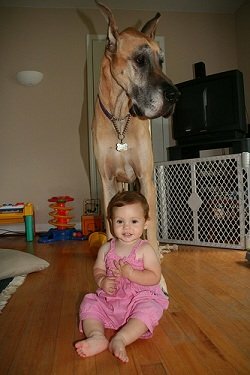 The best dog for kids is the Great Dane. The Great Dane make excellent companions. Some Danes seem to have an innate love for these little humans and other than the accidental spill that a big dog can cause a small child, the two get along well together. 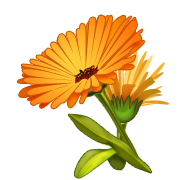 Children, on the other hand, are sometimes less reliable in being gentle and kind. Any dog in a house with kids will behave pretty much as the kids do, good or bad. But even good kids and good dogs can get into trouble when play becomes rowdy and active. Young children love to tease. Sticking their faces or wriggling their hands or fingers in the dogs face is teasing. To another person it may be just annoying, but it is threatening to a dog. There is another difference: we can make the child stop with an explanation, but the only way a dog can stop it is with a warning growl and then with teeth. Teasing is the major cause of children being bitten by their pets. Treat it seriously. A toddler is not able to understand rules and should not be expected to leave the dog alone. 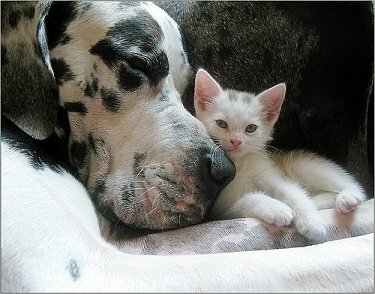 Great Danes tend to view small children as litter mates. If you have ever observed a litter of puppies, you will notice that much of their play behavior consists of the use of their teeth. This behavior helps puppies learn to inhibit the force of their bite. When they hurt a littermate, that puppy either yelps in pain or bites the other puppy back. The instigator has learned a valuable lesson. It takes a few times but eventually they learn teh lesson. Adult dogs may still use their mouths during play, only more gently. Often dogs that have not learned this lesson are the dogs that become biters later in life. This is the time when the dog will be happier if she has her own space. Kids and Danes can be the best of friends. The best age for a child to get their first dog is between 8 and 12. 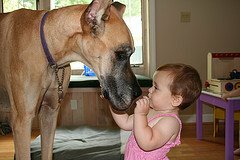 Dogs can help teach a child responsibility, patience, empathy, and compassion, but remember, no young child is capable of properly training Great Danes or completely caring for a dog, so the parent must always ultimately take full responsibility for the pet. Remember that your children will have to be trained on how to treat the dog, so plan on spending lots of time training your Great Dane and the children. This pet will be with you for a long time so spend the time now to avoid unwanted behavior in the future. Teach both children and dogs what is and is not allowed. Kids should be taught not to hit or poke the puppy, not to throw things at her, and not to pull or push her around. They need to know that the puppy needs lots of quiet sleep in her private crate and that they are not to bother her during her naps. The puppy should also be taught her limits. Puppies need to be reminded not to bite! If your puppy bites you, yell "Ouch", just like a litter mate would. A dog will understand the loud yelp of pain and a loud "No!" Try to avoid using a soft voice ("no, no,...") and too many corrections. One very firm correction will impress her a lot more that a flurry of mild ones. The latter may create an unruly dog. When the puppy bites in play, provide her with a toy as a substitute for your hand or arm. By the time she is 5 or 6 months old, she should understand what is expected of her. Educate yourself. Buy and read training books and consider enrolling your puppy in an obedience class. Well-trained dogs are a joy to be around and are a requirement if children are involved. One behavior you will want to stop right away is jumping up. A Great Dane is huge on all fours so when she jumps up on you she will likely be over your head. Never allow jumping on anyone for any reason, ever. Teach the child to raise their knee and turn their hip towards the dog when they jump. Initiate puppy training at a very young age to prevent this behavior. Children must be reminded that this is a dog, not a pony, and the dog is not to be ridden, kicked, or struck. They must be cautioned about nose or tail pulling and eyes or ear poking. While Great Danes are normally the best dog for kids, responsible parents should teach their children that a strange dog is not to be approached until and adult says it is ok to. 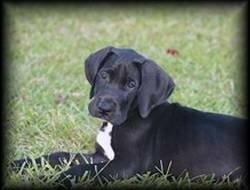 Great Danes are great with children put you should always supervise play to make sure it stays fun and safe. This big dog is a Great Dane! A Deakin University study found that young children who own a dog are less likely to be overweight or obese compared with those who do not have one in the family home. The study of more than 1100 children aged five to 12 found they were in much better shape if they had a dog, even if they did not walk it regularly. The study, published in the Health Promotion Journal of Australia, follows a previous paper from the same researchers that found young girls who owned a dog were physically active for 30 minutes more than those without a pet.